Thank you for giving us the opportunity to introduce Draperies by Design! 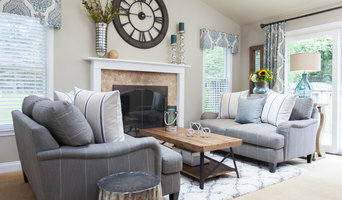 We are a custom home fashions workroom located on Lancaster Avenue in Malvern, Pennsylvania. 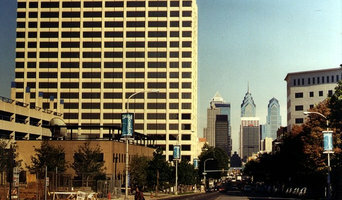 Our workroom has been serving designers and customers from the Main Line and surrounding Greater Philadelphia, PA areas since 1999. At Window Ware you will find more than great window coverings. Whether you are shopping for a single window treatment, redecorating your entire house or seeking the solution to a complex design challenge, you'll find great people who have the knowledge and expertise to help you put it all together. We proudly serve West Deptford, NJ and the surrounding area. Since we're locally owned and operated, we take our long-term commitment to the community seriously, and we are proud of the professional products and services we provide. We are here now - and we'll be here in the future when you need us again. Call on us for your next design project! Window film is an innovative solution to sun control, safety, security and energy conservation concerns; and a dramatic and cost effective way to make aesthetic changes. Founded in 1985, we are the region’s oldest 3M-authorized Dealer / Applicator of 3M Window Film. Sun-Lite was founded with a focus on energy conservation, and over the years has deepened and expanded this expertise to include other aspects of glass coating and tinting. We care deeply about human comfort, design, building efficiency and durability. Sun-Lite approaches window film and its application from three unique perspectives: Energy Conservation: Sustainability and energy efficiency are at the heart of what we do. Art Preservation: We have worked for many years with conservation employees and other staff at the Philadelphia Museum of Art to preserve the artwork there. We are experienced at selecting the right window film to protect irreplaceable treasures. Design: Sun-Lite has worked for over 25 years with design professionals. We place a high value on flow and aesthetics. We build close relationships with a limited number of high quality companies and firms in order to focus our efforts on delivering consistent, quality work in a timely and responsive manner. We help our customers both to solve and to avoid problems. We work to create clear agreements and always honor our commitments. We judge our success by how well we create value for our customers, employees, suppliers, community and environment. 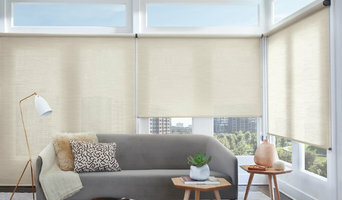 We are a local business that sells, measures and installs window fashions to the consumer such as blinds, shades, shutters, motorization, draperies & more. Since 1927, Conner's has installed the finest in home improvement products. Covering Delaware and Montgomery counties, we specialize in windows, doors, awnings, and enclosures. Conner's comes to your home to assess your needs in a hassle-free no pressure consultation. Our promise to you is that we will do our very best to complete your project in a timely, professional manner, fully supported by some of the best warranties in the home improvement business. We are a fully shop-at-home business. What does that mean? We come to you, to your home, office, or wherever else you need your window treatments. We bring our samples, our knowledge and expertise to help you make the best choice in custom window treatments for your space. Regardless of were you live, we are here to help you with your window treatment selections; whether it be shutters, blinds, shades, or a combination. Please write or call us, toll free, at 1-888-887-4623, with your questions. We want to provide you all the information you need to purchase quality window treatments at affordable prices that add to the beauty of your home for years to come. Seams Sew Simple is a design and fabrication studio/workroom located in Warren County, NJ. Since 1995, I have been designing and creating one of a kind window treatments and accessories for both residential and commercial projects. My passion for creating unique details for each client is inspired by the most simplistic to more architecturally challenging windows. Seams Sew Simple is a workroom to the trade, including project management services for both residential and commercial. 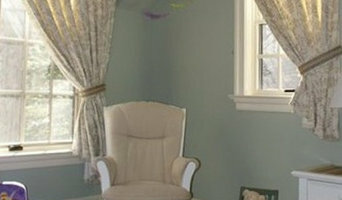 Blind Builders, Inc. is a local family owned and operated business specializing in custom window treatments. We carry a wide selection of blinds, shades, shutters, and fabrics for drapery, top treatments and more. Our goal is to make your shopping experience easy and personal. We take time to understand individual preferences and work with you to find the right product for your needs, style and budget. Elegant Window Fashions offers a wide variety of styles and options to allow you to create a custom look for your home. Combine many of our styles with your own fabrics, trim and hardware. 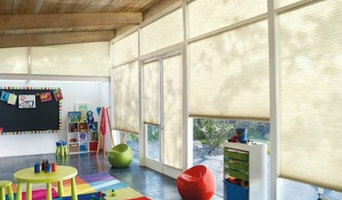 Blind Factory offers a wide variety of "a la carte" window treatment services. Everything from in-home consultation and installation to self-installation tips and blind repair. Drapery workroom & Blind/ Shade factory selling/ installing wholesale to the public ! Worldwide Window Fashions is a manufacturer of customer made hard window treatments.